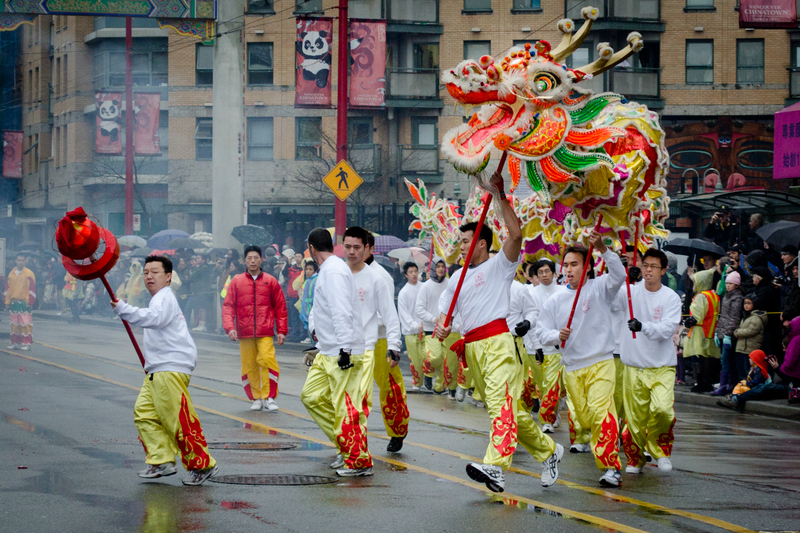 This is a collection of images from the 2011 Chinese New Year Parade. 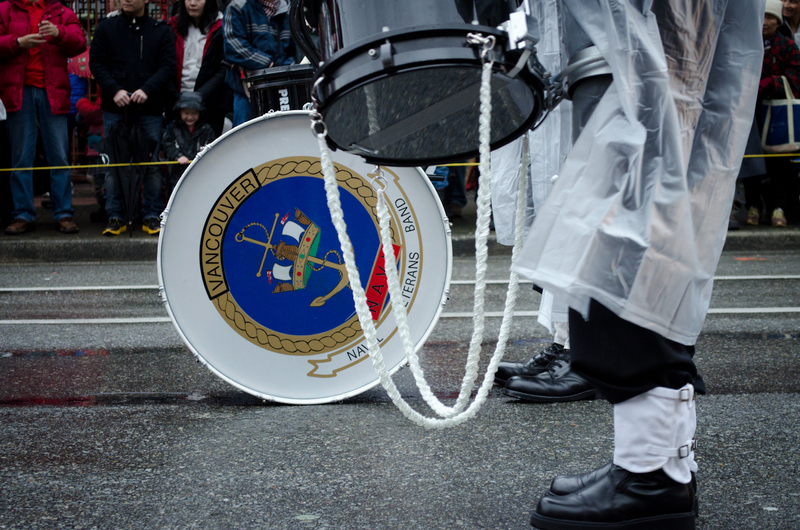 In true Vancouver form the weather outside without sounding dramatic was … a RAINY HELL! I decided I would attend, rain or shine. Living and working in the area I’m all too familiar with Vancouver’s proud Chinese culture and I thought this would be a great way to show my support for the neighbourhood. As it turns out it’s quite easy to pose as a professional photographer. Keeping busy and ignoring the countless attempts at trying to remove me from the secure area seemed to work just fine. “Huh? !”, I scoffed as if to not understand, “um yeah.. YEAH! I’m a photographer for the Press”, I said in an almost Hunter S. Thompson-esque manner. This seemed to quell the inquiries. 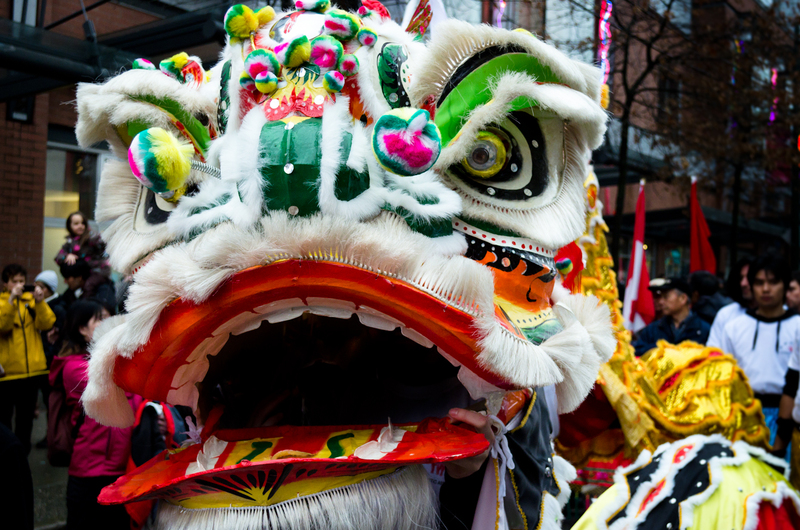 I was able to gain access to the entire parade walking alongside the multitude of colourful dragons dancing to a melodic drum beat that resonated through the streets. 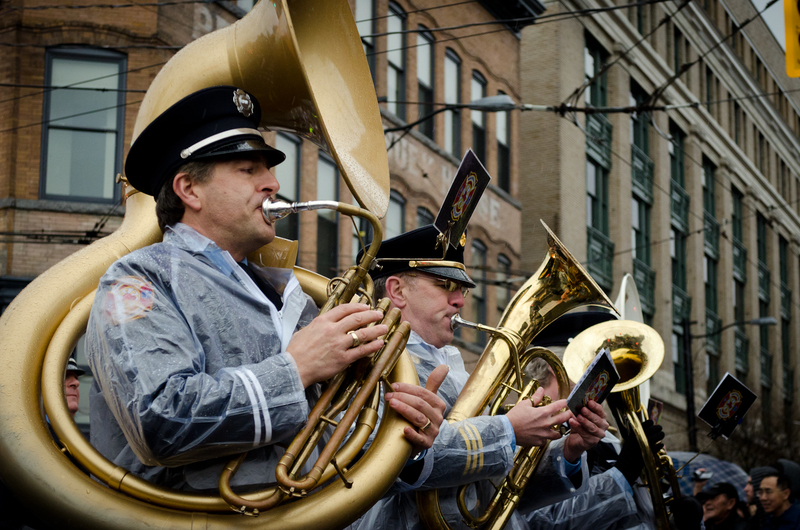 No parade is complete without the obligatory “boys in blue” showcasing Vancouver city’s finest at their best. I’ve always been a sucker for marching bands and wasn’t disappointed with the talent on this rainy afternoon. 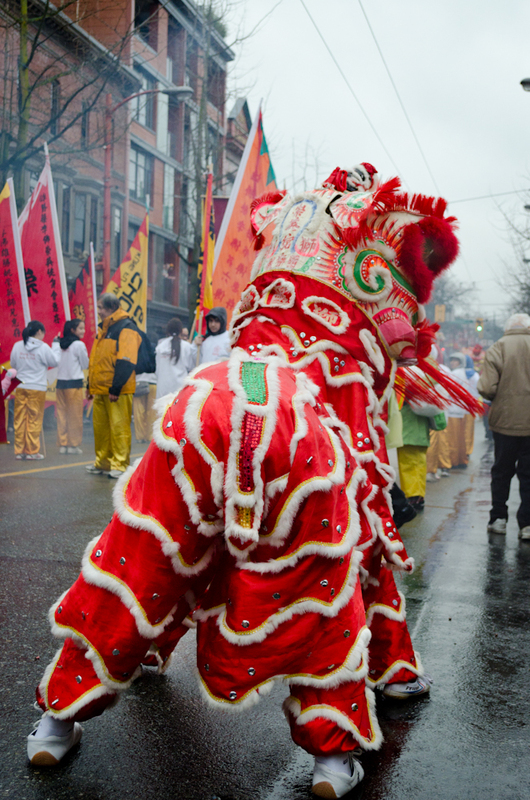 From resplendent and ornate costumes to dancing dragons teasing onlookers as they danced their way down Pender Street. 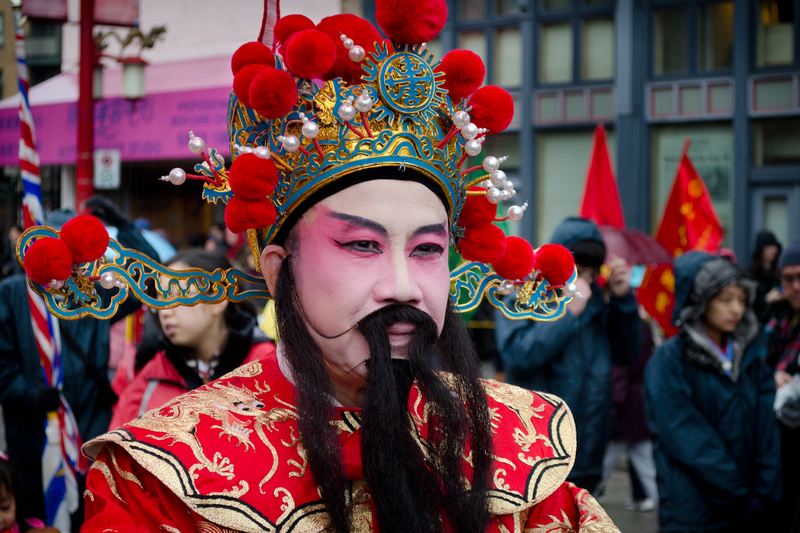 The Chinese New Year Parade is a must see for any Vancouverite. I will definitely attend next year’s parade (rain or shine). Keeping my camera clean was impossible and I had to use a higher ISO to get the speeds necessary to shoot the action. After a 10 year hiatus from shooting I was glad to be out enjoying this day. I’m currently shooting with some pretty basic equipment – a Nikon D5100 with the standard 18-55mm lens. This made shooting the event a fun challenge since I had to get up close and personal. 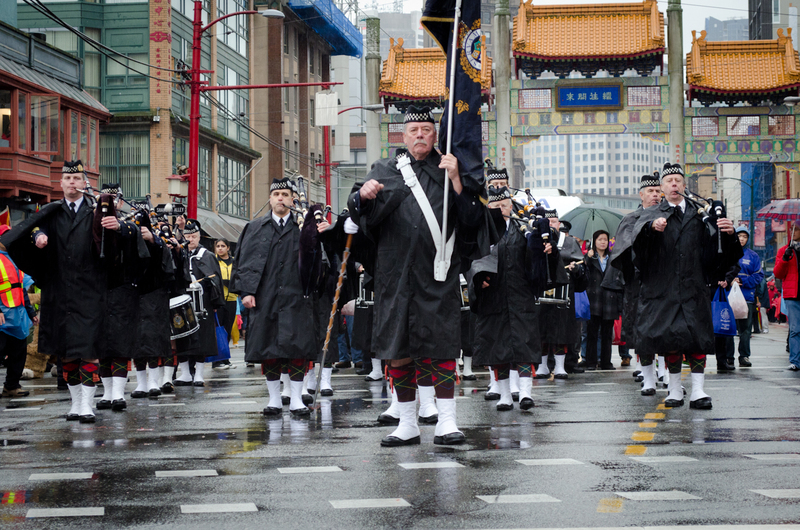 Tags: Chinatown, New Year, Parade, photography, vancouver. Bookmark the permalink. Nice to see you back at it, my friend!